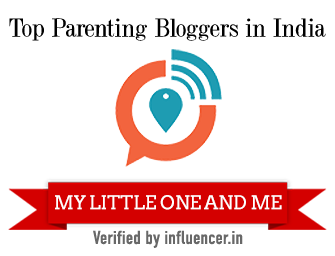 My Little Ones And Me Indian Mommy Blogger: Are You A ToyBanker Yet ? I am sure you all loved playing with toys when you were young…..I am sure you had a favourite toy, maybe a few favourite toys….. 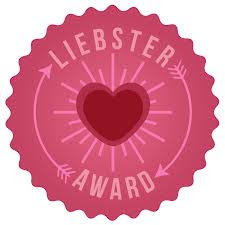 I am sure you have loaded your little ones with all kinds of the latest toys available in the market out there….And, I am sure, you will continue to do the same…. Not an isolated case, are you? Of course we all love toys, and now that most of us are parents and have our little ones at home, the moment a new toy is launched, we all run to get the latest addition for our little angels…..
As part of our ‘Share A Smile’ project, I happened to get in touch with this wonderful team of young and self-driven individuals, who, like us, not only talk about that much-needed change in the system, but, unlike most of us, are actually bringing about that change themselves. 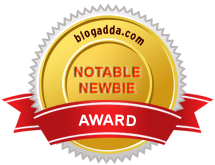 Meet Shweta Chari….a young, full-of-life, energetic 20-something, an electronics engineer, an MTV youth icon nominee, and, at heart, still a child. Shweta is the founder and CEO of Toybank, a bank with Toy Deposits and Joy Dividends, an idea that came into action on the 15th of August 2004, with a vision of reaching out to needy children through fun and play, using toys. 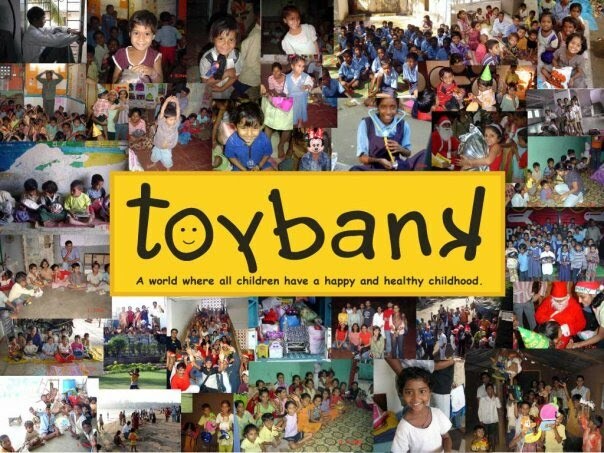 The idea of Toybank started in a small restaurant in Mumbai. The year that they started operating, Toybank had 15 volunteers, were working with 4 NGOs and were reaching out to 238 kids in Mumbai. 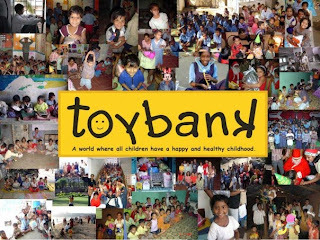 Today, Toybank has more than 200 volunteers, and has managed to reach out to 7000+ kids, as of 2010, and is working with 24 NGOs all over Mumbai, Bangalore, Pune and Delhi. 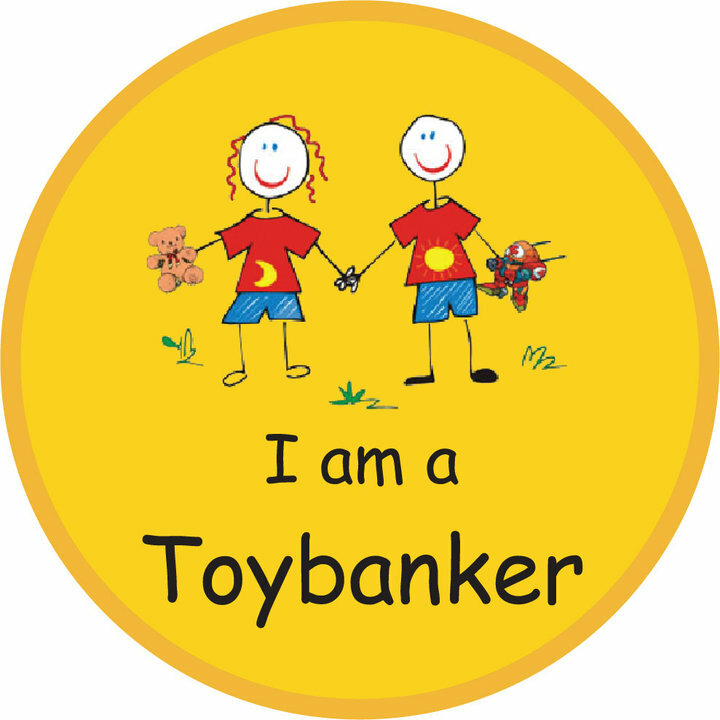 Not only does it allow a person to donate toys from India, Toybank also has its reach in the UK, from where many ToyBankers have been showing their support to the noble cause. Toybank’s ultimate dream is to place a toy in the hands of every child in India, and then, in the rest of the world. Shweta and her team understand the importance of toys and the role it plays in developing the psyche of a child. Hence, Toybank is very clear on what toys they WILL NOT accept: no lifestyle dolls, no guns, swords or any other such toy that can instigate violence or create discrimination of any sort. But through this simple process of collecting and distributing toys, ToyBank is today reaching out to more than 7000 kids, and with your support, one day they will soon reach their goal of placing a toy in each child’s hand. Debolina Raja Gupta: NGOs asking for clothes and money, yes, but how come toys? Shweta Chari: Every kid has a right to play, it is a basic right that no child should be denied – a right to free play, a right to have unrestricted play time, and the luxury to have that feeling of owning that one object of desire, that magical thing called ‘toy’. There are hundreds and thousands of NGOs who are already doing a great job of collecting clothes and food and money and sending it to needy families. But if you talk about toys, how many street kids do you see out there who have a toy in hand that they are not trying to sell at a traffic signal, but instead, are playing with? Many schools and corporates donate old books and clothes, sometimes even money, but how many people have you seen who go out there and donate toys? 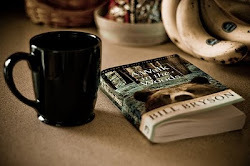 Come on, remember the times when you were a child and had that one most-favourite doll, or that car, that was your constant companion, or that soft toy that you hugged and slept with? Remember how special that bond was? 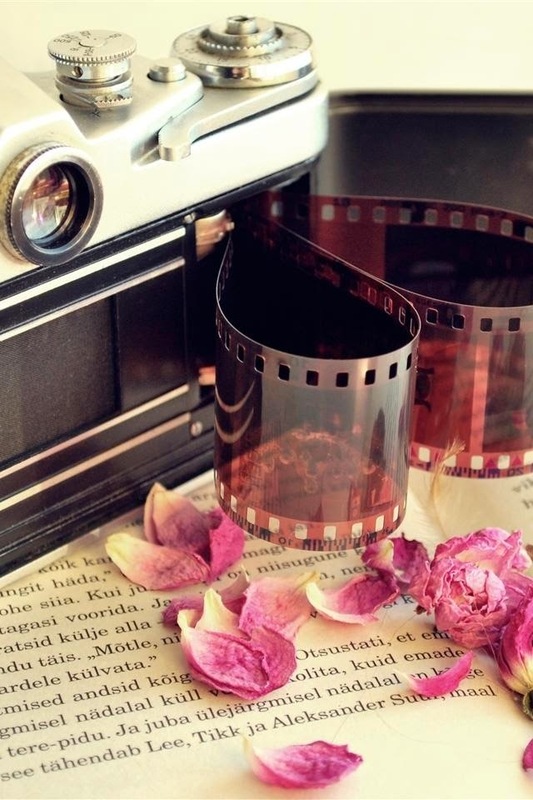 Can you imagine how your childhood would have been if you did not have even a single toy to play with? Debolina Raja Gupta: And play? Shweta Chari: Play is essential to development as it contributes to the cognitive, physical, social and emotional wellbeing of children and youth. In fact, play is so important to optimal child development that it has been recognised by the United Nations High Commission for Human Rights as a right of every child. We strongly hold the belief that every child, irrespective of his/her social and financial background, has the right to make the most of his/her childhood. While accessibility to a decent education is of prime importance, one should not overlook the importance of extra-curricular activities in molding the lives of these children as they evolve into strong, sensitive individuals. After all, these are the very same children who will represent the face of a better globe, a responsible globe. They may be living on the streets, but they are still little kids, and deserve to have some joy in their lives too. Debolina Raja Gupta: So how does the collection system work? Shweta Chari: We go to schools and talk to kids about sharing, about how there are so many children out there who have never had a toy, while these kids in school are so lucky. We tell them about the joys of giving, about trying to share a few smiles with other kids out there. We meet children from different classes and our approach to each age group is different, of course we need to talk in such a way that we can get across our ideas to the child in front of us. Once the initial idea is established, children and their parents help us in collecting toys. Many parents even take the initiative of calling us to their housing societies and we have our collections there. Sometimes, a parent invites us to their organization and we have a collection at the office. Debolina Raja Gupta: What after the collections? Shweta Chari: Gift-wrapping. Our volunteers help us with sorting the toys according to age-group and then gift-wrap it for the children. Debolina Raja Gupta: How has the experience been after the donations? Shweta Chari: We soon realised that the children who were given the toys were impacted much beyond our expectation. They began to recognise that play was one of their core rights. They also began expressing themselves better and were more in tune with their lives and circumstances. 45% of the children were playing with puzzles while 22% were attached to their toy cars. The happiness levels of the children and their parents were shockingly low. 80% of the parents complained that their children felt bitter, angry and agitated towards their environment. Clear indicators showed that through the toys they received from Toybank, these little ones became children again, happy just like children should be. Debolina Raja Gupta: What makes you do what you do? Shweta Chari: Street children are subject to malnutrition, hunger, health problems, substance abuse, theft, harassment by the city police and railway authorities, physical and sexual abuse. The fact that each day we meet and see so many kids around the slums in Bombay who are either homeless or left on the streets to fend for themselves, these kids that sit on the pavements playing with stones or broken toys or cycle tires, overwhelms us to immediately fill in that need, the need of a proper and a rightful childhood. Debolina Raja Gupta: Explain to me who and how Toybank is affecting? 1.encouraging rich children to donate and giving back the lost childhood of the poor and underprivileged child. 2.street children get into immoral habits like drugs and alcohol abuse and go wayward at a very impressionable age, mainly due to the lack of attention from parents and society. They feel they are neglected and unworthy of living. Toybank tells them they are normal too and they have rights just like the rest of us. 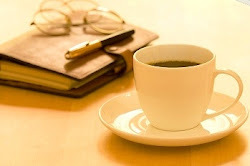 3.we want everyone to take responsibility of their own actions. Individuals partnering with Toybank realize the importance of giving and their children, in turn, develop habits like caring and sharing for their society and the world as a whole. 4.by simple means of toys, the social mindset that society holds against street children or children of labourers, will be impacted. Both the toy donors, as well as the toy recipient, will understand the significance of respecting one another as human beings. 5.by giving a toy to a child, a child’s mind is free to think beyond its circumstances. The child feels cared for and feels one with the world again. Its really amazing what ToyBank is doing and how they are touching the lives of so many young hearts out there. We are truly lucky to be on this side of the car window, imagine the life of those little ones out there, abandoned on the streets, alone, or begging and working as a toddler to support one’s family. Toybank has taken the initiative and is doing a lot to make this world a better place. But of course they need more support, your support. Help them in this noble deed by writing them a cheque, by organizing funds for them, by volunteering, by spreading the word. They need you. 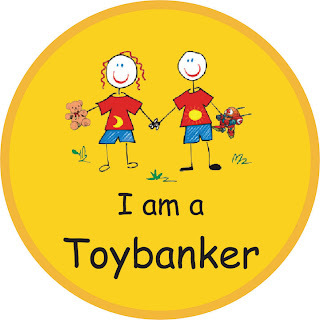 Go on, be a ToyBanker….and Share A Smile….